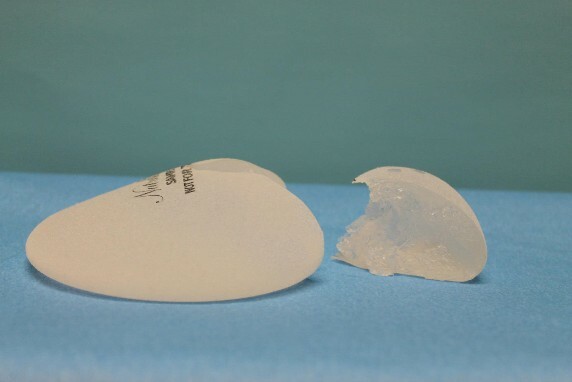 There is a new option for Breast Augmentation in the United States. In February of 2013 the FDA approved the Allergan Natrelle 410 Highly Cohesive Anatomically Shaped Silicone-Filled Breast Implant. What makes the highly cohesive gel implants (Gummy Bear 410’s) different? These implants are made of a higher crosslinked silicone that is designed to stay in place. By doing so the implant is able to have and maintain an anatomic shape. 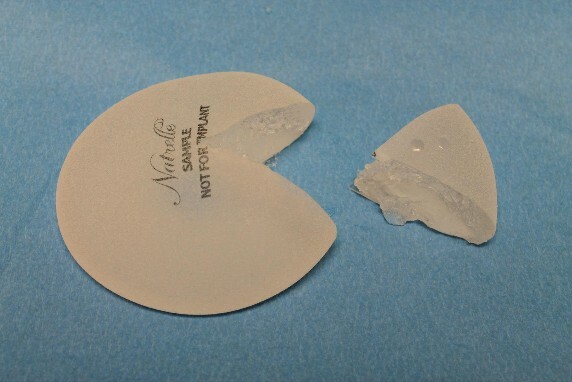 Below the implants that Dr. Ryan Diederich cut in our office to demonstrate the highly cohesive nature of the implant. How to they look different? The implant has less fullness on top of the breast (less upper pole fullness) providing a more natural, sloped appearance to the breast. See our page of Breast Augmentation to learn more. Also Allergan Natrelle’s Page or the FDA release.